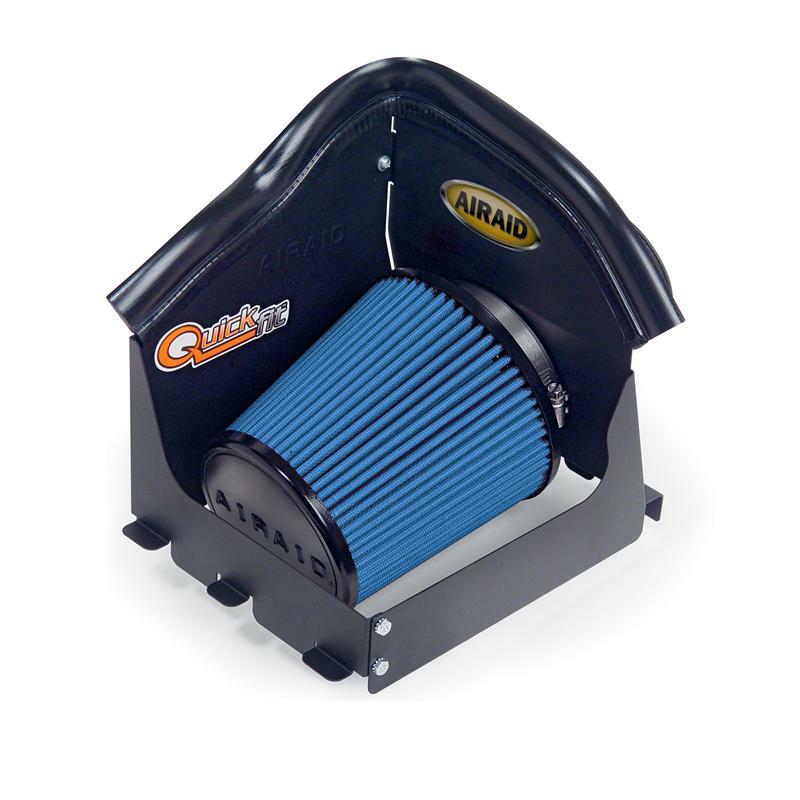 The Airaid Intake Systems use the latest dyno-proven techniques and innovative design to improve upon intake system efficiency and deliver greater horsepower output. Their unique inlet and track filter combination is substantially less restrictive when compared to OEM (Original Equipment Manufacturer) type air-boxes, improving airflow by up to 20 percent. A mandrel-bent inlet tube, powder-coated inside and out, is also included to deliver greater airflow and protection against any harsh elements. These systems take advantage of computer-aided design to isolate engine heat away from the air intake for maximum torque and power. The system uses the stock air filter location to insure cool outside air, but enhances air flow with a huge air inlet and 360 degree SynthaFlow filter for maximum air flow and filtration. 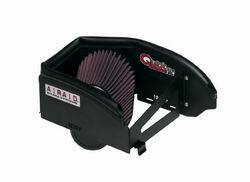 This results in a cool, dense air charge which means more horsepower and torque. These systems are easy to install with basic hand tools.